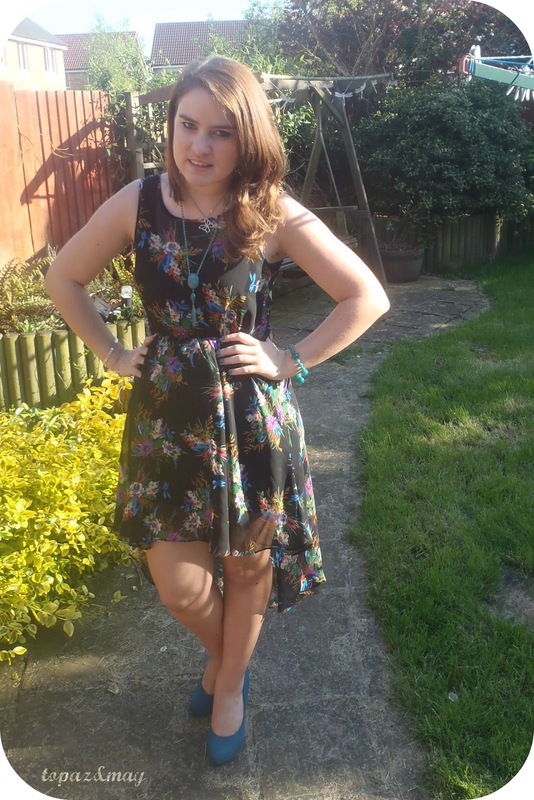 I'm a foundation girl - always have been and thought I probably always would be. Granted I tend to use a tinted moisturizer in the summer as it's lighter and contains SPF. 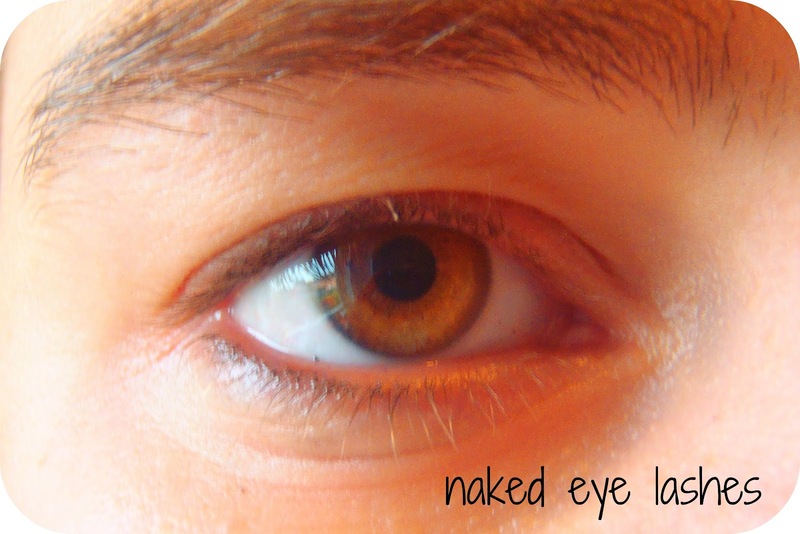 I just tend to find it doesn't cover my skins as well and hide my imperfections. Ok so I wasn't sure if this was meant to be like a tinted moisturizer or a primer so I had a little look see. It's meant to stand for either 'Blemish Balm' or 'Blemish Base'. It is meant to be an all signing, all dancing cream. It's meant to provide a good base for make up like a primer, even out complexion like a tinted moisturizer, cover minor imperfections and redness like a concealer, hydrate your skin like a day cream, brighten a dull complexion and some contain SPF. So does the Maybelline version match up to its impressive blurb? I chose the 'light' shade and it really does blend into the colour of my skin which is great. I love foundations that look invisible so, even though this isn't a foundation, I liked this part of it. It's a really light formula as well which is good as I had heard that some BB creams were quite thick so I was please with this. It glides on really easily and doesn't feel oily which is great. 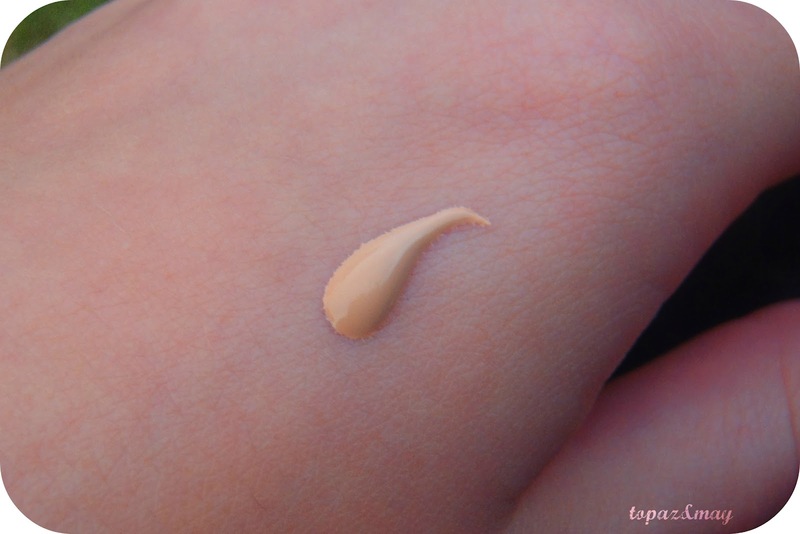 It says to apply a light layer, however to achieve the coverage I like i have to apply a bit more then suggested - but once on it does coverage and as it suggests on the back it "blurs imperfections", but I wouldn't say it completely covers like a foundation so you do have to add a little concealer. My skin does feel lovely and soft after use which I like and I've not really found this with a lot of other foundations/tinted moisturizers. Overall I do like this product. It does give you a really fresh faced glow. I have had a couple of bad skin days so have added foundation on top and it does work as a primer as well which is handy! It is definitely a lazy day, cant be arsed with foundation products - or just if it's too hot for it! 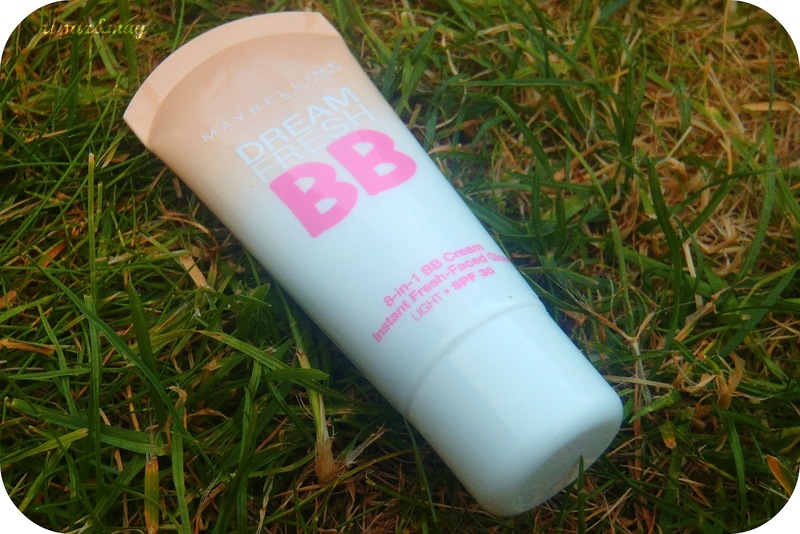 Have you tried any BB creams? Which would you recommend? 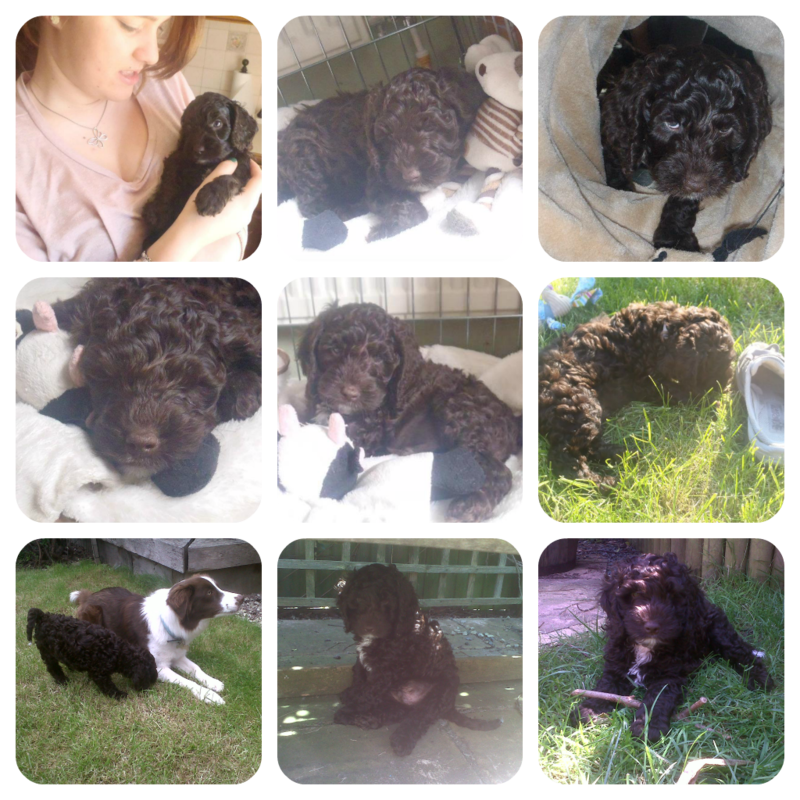 As everyone already knows, I have recently got a puppy :) well, my family has recently got a puppy. So called because he is the naughtiest puppy in the world - that gets away with everything because he is gorgeous. 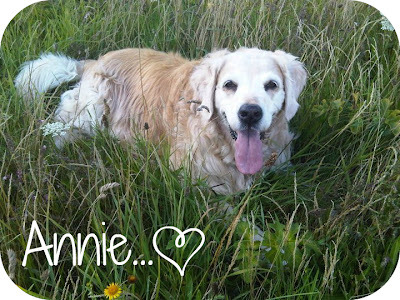 Until Christmas Eve my family had the BEST dog ever to exist, Annie, a lovely Golden Retriever. She was unforunately put down at the impressive age of 14 on Christmas Eve. Was basically heartbreaking and a horrible horrible time for my family. It is still hard and we all still really miss her. We had always said that we would never have another dog after her as we'd never get so lucky, however after about a month we realised we really missed having a dog so decided we'd look into getting another. 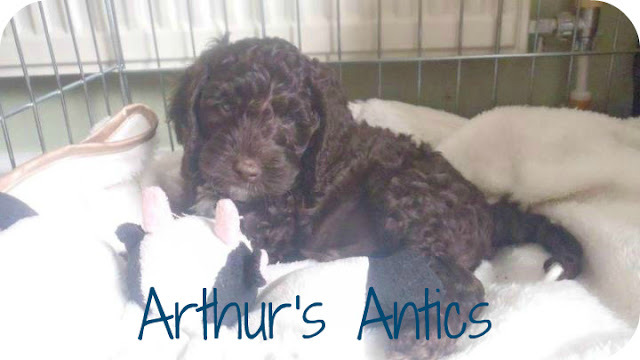 And voila - here comes Arthur :) we decided on a boy and having a chocolate puppy as we needed something that was the complete opposite to Annie. He is gorgeous and loves nothing better then to curl up in your lap and savage something... He loves playing with the hoover, but is scared of the watering can... Go figure. I will have more news with Arthur every week so stay tuned! He will also show on some other posts giving his little views on products! He should hopefully soon be meeting Daisy, who is his bethrothed, and will be going out on his first walk in a couple of weeks eek! 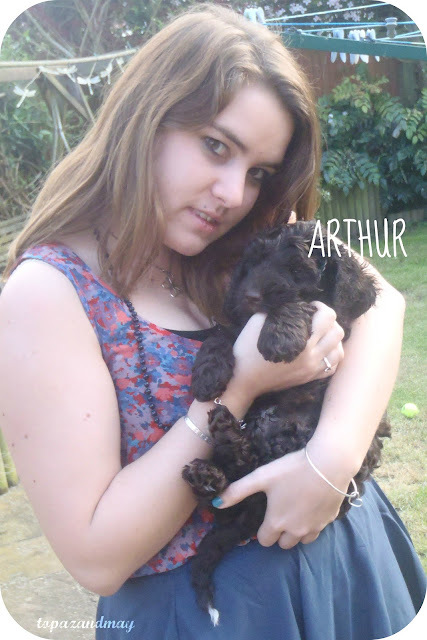 What do you think of Arthur? What antics would you like to see him get up to? Since my favourite ring that used to live on my middle finger has basically died a horrible death, I have become more and more into costume jewellery rings. Especially vintage looking ones. 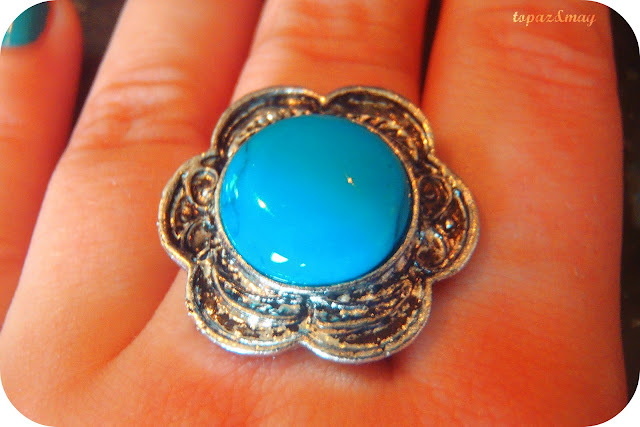 So when Raspberrygrape.com asked me to review one of their pieces I jumped at the chance to nab one of their turquoise vintage rings. It came all lovingly packaged in tissue paper and a little card thanking me for my interest, which I through was such a nice touch and showed Lauren (raspberrygrape) really took the time with it and cared about it. Unfortunately it was broken when it came in the post :( the back was apart from the front, I managed to slot it together for these photos but it now needs to be super glued - obviously not raspberrygrape fault... Definitely the post mans fault! Raspberrygrape is a tiny company with some really cute, gorgeous pieces. It is rather unique and Lauren has some really equilectic collection. 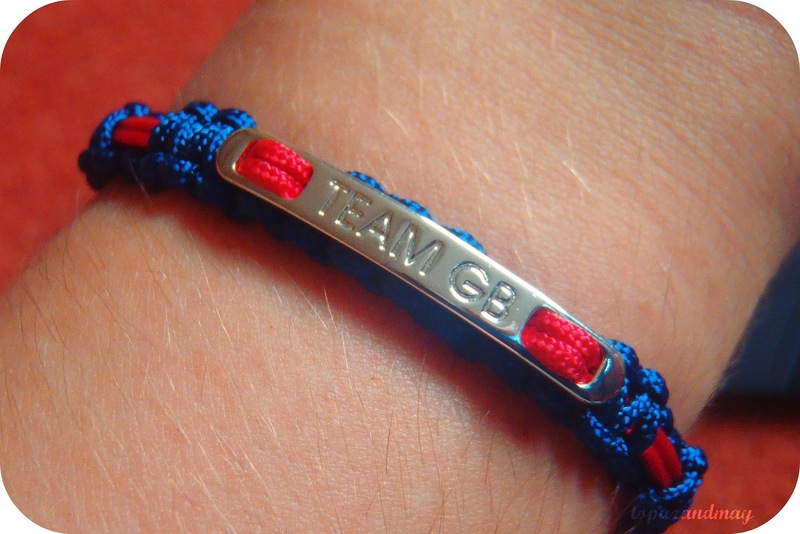 I desperately want to buy myself a bracelet with my name spelled on it... And it doesn't cost a fortune! It is so reasonable. I would definitely recommend them - just make sure your postie is a jewellery lover as well though! 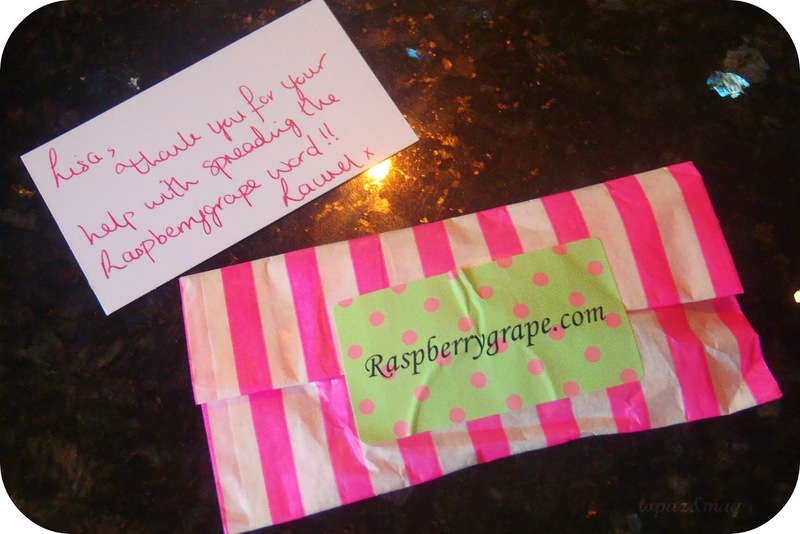 What do you love from Raspberrygrape? Unfortunately, everything in this post is old apart from the sunglasses which I've provided a link to. Sorry! 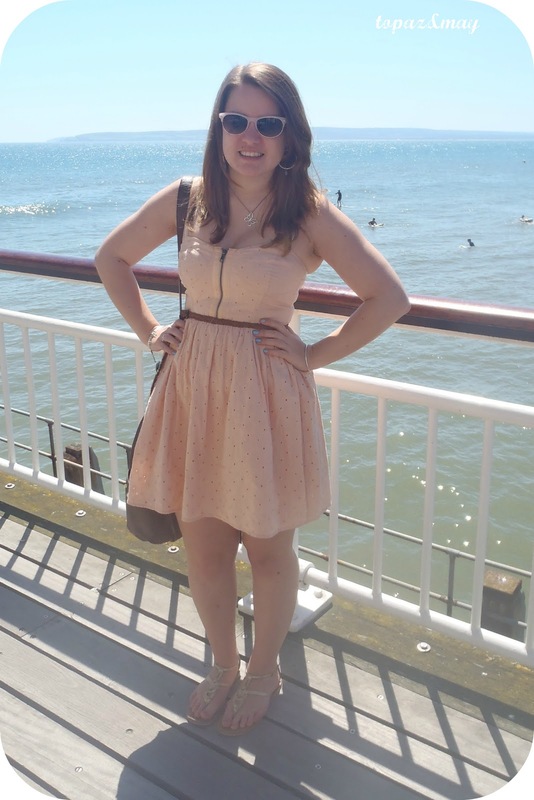 This dress is seriously cute and I kept accessories to a minimum as it was so hot - it really didn't need much. 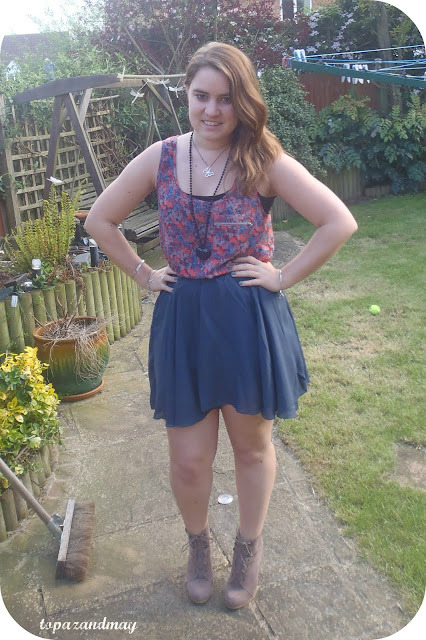 It's very flattering and a really cute summery colour. It has a lovely anglais effect which I really love. Just so girly and cute. 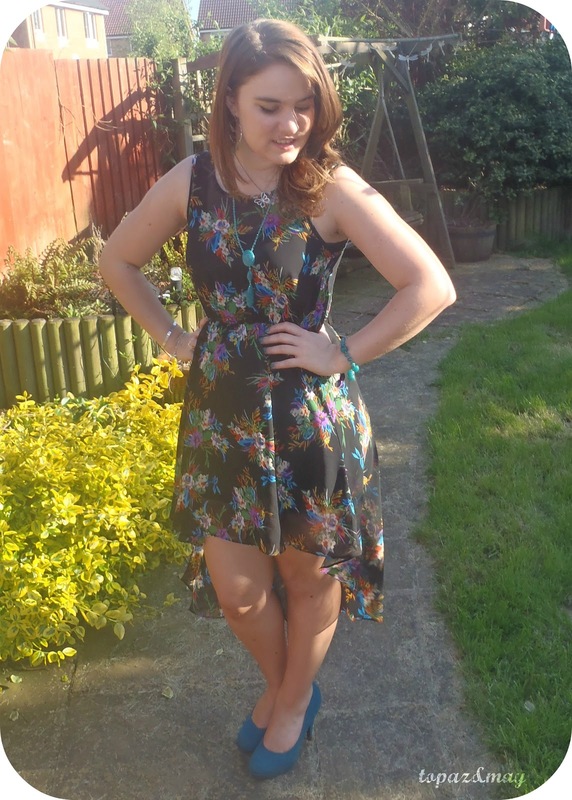 It's a really flattering dress, pulling in at the waste making it look somewhat tiny (hello miracle). 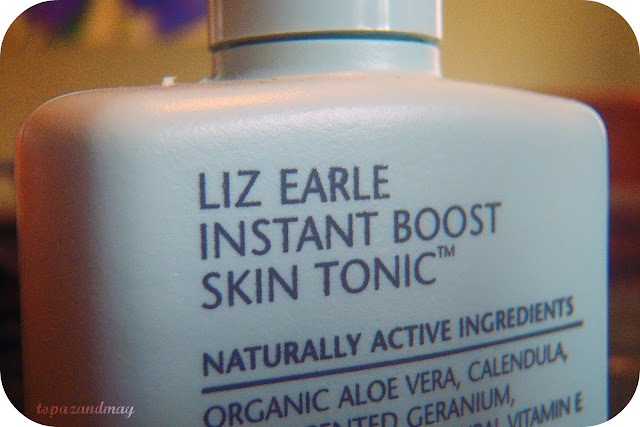 As recently posted here I have fallen for Liz Earle Cleanse & Polish, but when I was give the opportunity to try something else I thought why not! I was sent the normal to oily version of this product, which is perfect for me as I can get quite oily skin. This one is a foaming gel contains tea tree and eucalyptus oil. There is a normal to dry version as well which is more of a cleansing lotion and contains olive oil, sweet almond and jojoba. 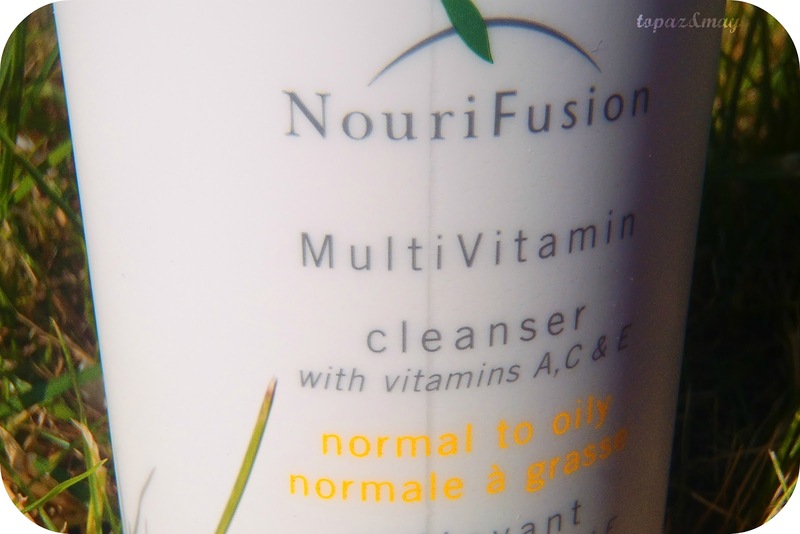 This has a gel-like consistency, which is clear, and you put onto your skin, like you would any cleanser and rub in - this is where it turns more into its foam. It has a really clean smell, very fresh which is really nice and really goes with the natural elements to the product. You then remove the cleanser as usual. It removed all my make up, not so much my eye make up but if I'm honest I'm very wary about putting cleansers over my eyes. I think this was a little bit harsh for my skin, just because it seemed to dry it out, but then the normal to dry might be a little less harsh for me. It is a really nice product... If you are interested in organic, all natural products I would recommend looking into the brand. 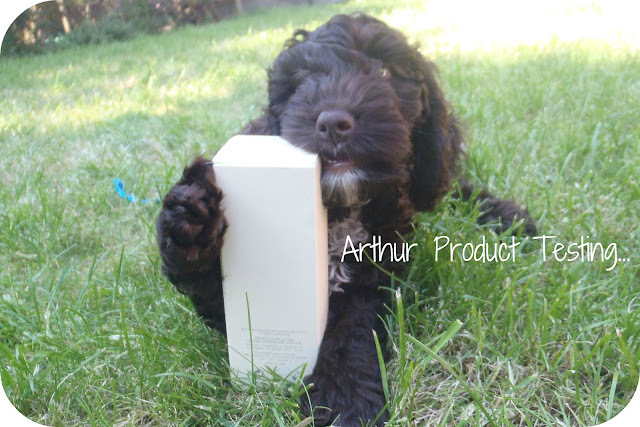 Don't worry.... No products were tested on Arthur! Have you tried Herbalife yet? Firstly I would like to apologise for the dress as it CLEARLY needs ironing, however the boy was rushing me as he was hungry so I didnt have time to iron it after it's been all creased in my wardrobe. I have this dress in this pattern and another one which I am sure I'll be posting about at some point this summer. If I remember correctly it was about £15 (?). It's so comfy and really easy to just relax in or dress up as you can see here. My only thing about it - when you stand directly in the sun you can see through it, not completely, just the outlines - but still! Unfortunately it is all cracked at the back so I can't wear it as much as I used to. 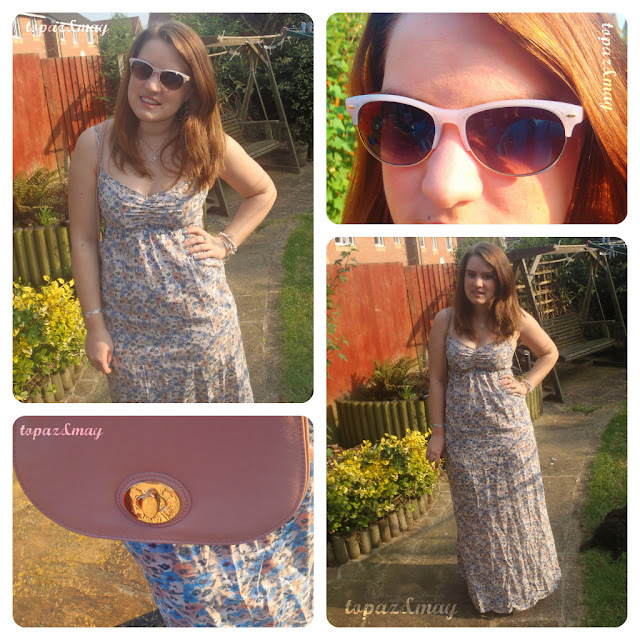 These sunglasses are one of my newest finds... My lovely Mummy bought them for me when we had a little girly shopping trip. 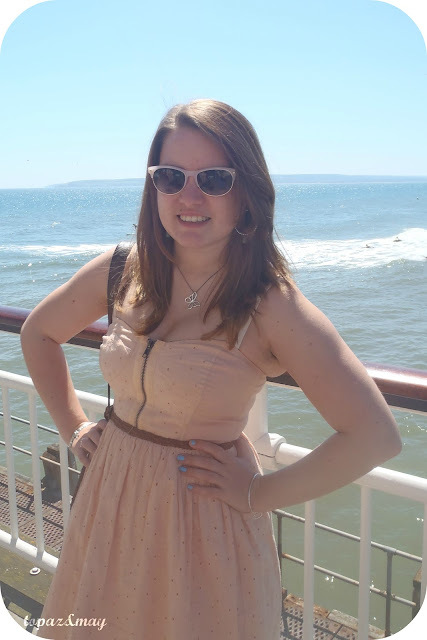 I have been after a pair of wayfarers for SO long but found none that suited - until now, so my Mummy treated me and I haven't stopped wearing them since :)﻿ They have turned into my summer must-have! What's your boys favourite outfit? Have you found your summer must-have yet? I've been using a sample of this for the past week or so and I am falling more and more in love with it. I have always wanted a foundation that doesn't look like a foundation, and I seem to have found it in this. 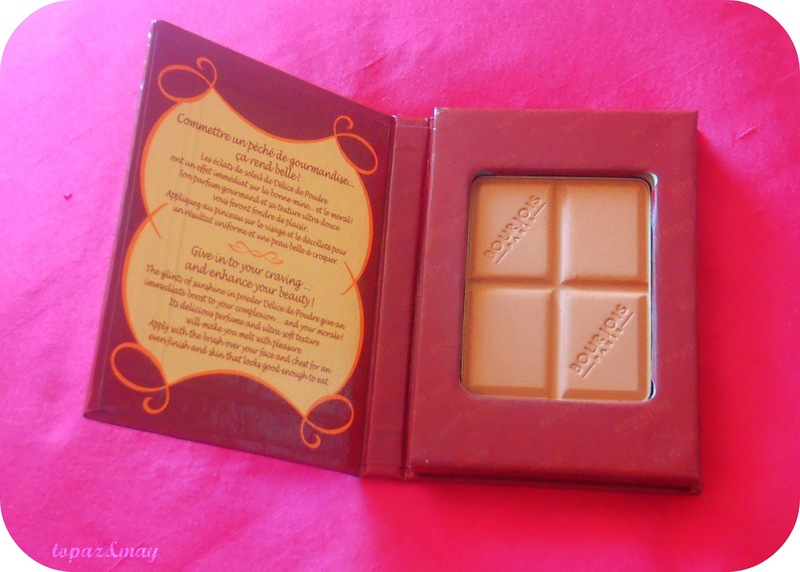 It brightens my skin and gives flawless coverage. I really do love it - may have to invest soon! I have had SUCH amazing things about this product and have been dying to give it a go. One of the things that makes me really want to try it is the fact that it doesn't smudge - which is something I really need in a mascara. It lengthens, curls, volumises, lifts and seperates - sounds perfect to me! If anything I'm just intrigued by this product... It's had such a great reviews on their site and I just want to see what it does! You apply this highligher to cheekbones and then blend with the spongy bit to give you a champagne glow. Anything with 'champagne' has to be good, right? This product doesn't really need much intro as it has been making the rounds in blogger world... I have been trying to find the perfect primer so I would love to give this a go and a try - may have to go my local shop and ask for a sample. Have heard mixed reviews about this so am hoping it excels my expectations! Have you used these before? Do you recommend anything else? 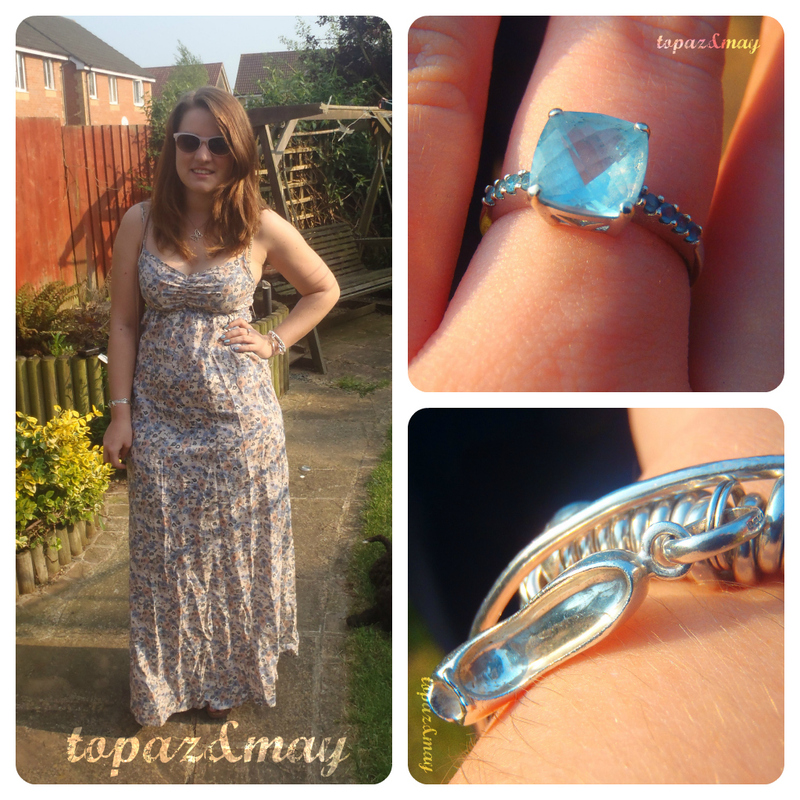 I've always loved celebrity 'steal her style' pieces so I thought I'd try my hand at one and see how I go ... I'd love to hear what you think and if it something you'd like to see more of on here! Like most people I'm a big fan of Mollie's style and wish beyond belief that I had her wardrobe... and her legs, and her hair.... okay maybe just be her! I love this outfit as it's bright yet ridiculously simple and so easy to recreate (as you can see above). I would however recommend a tan with this outfit ... and maybe some sun as well! Whose style would you like to steal? 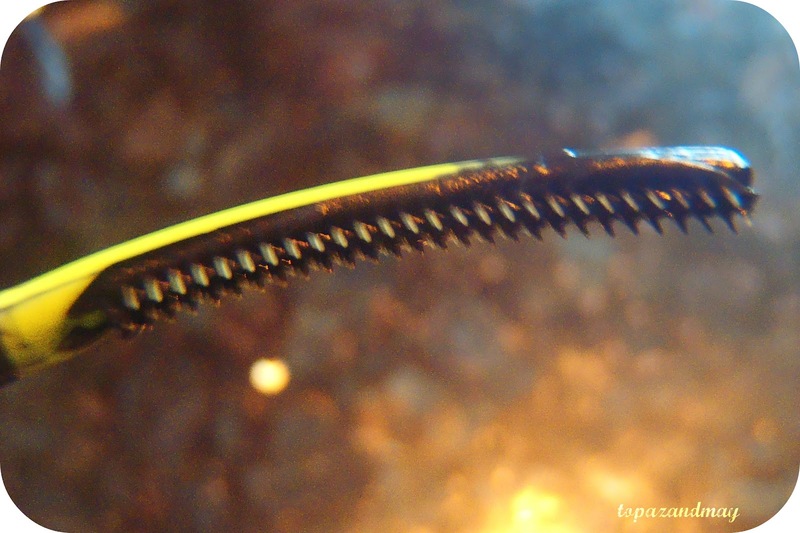 Be prepared for a little bit of a love letter with this post. 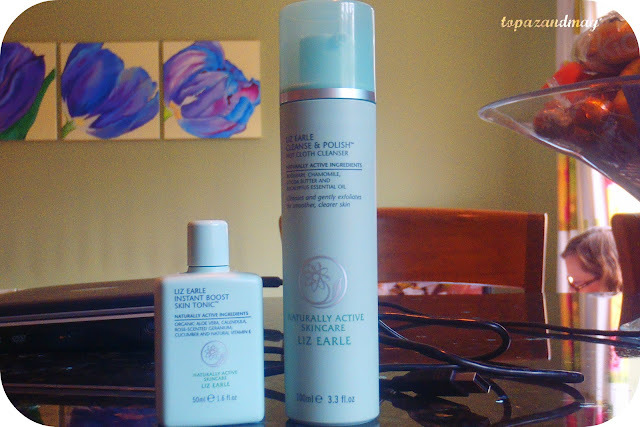 I'm sure you've seen many many fantastic posts about Liz Earle and one of these particular products... 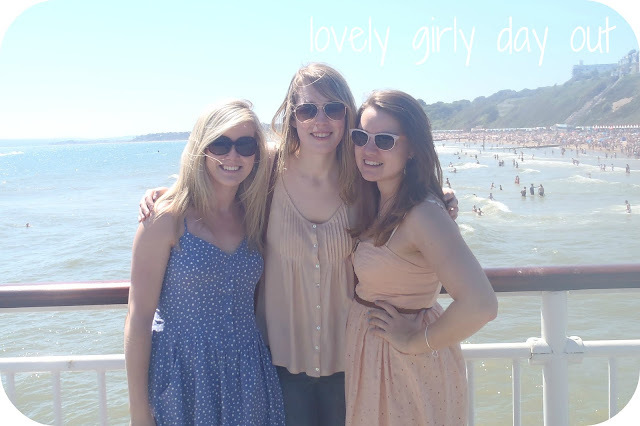 But I love it so much I just have to share my thoughts with you lovely people! 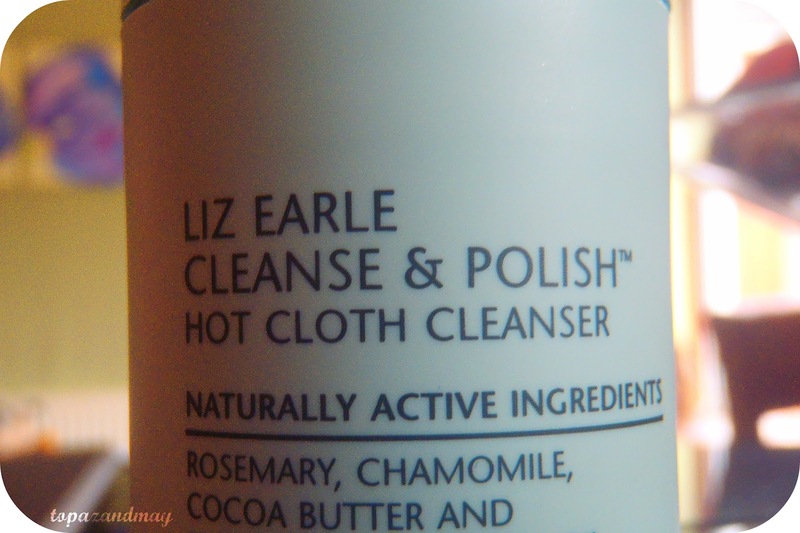 You guessed it, it is Liz Earle Cleanse & Polish Hot Cloth Cleanser which was very kindly sent through with a free sample of Liz Earle Instant Boost Skin Tonic. Ok so you pump once onto your hand and massage it gently into your skin over your eyes, face and neck. Then using the muslin cloth, rinse it in hand-hot water, wring out and then polish off the cream with the cloth. Finish by splashing your face with cold water. I love the smell of this product, it's the first element of it that I feel in love with. It's just so pure and fresh and just smells chamomile which I love. It's so easy to apply and comes off really easily. It removes make up as well. It recommends you use in morning and evening, however I have just been using it before I go to bed. Once you splash your face with water and dry my face just looks so much clearer already and has literally NEVER felt so soft. I just feel cleaner. Mine is a mini 50ml sample size which came free with my above purchase (usually £5.25) but you can buy larger sizes and you can also purchase this as a spritz. Now, I had never used a toner before and had no idea what it was meant to do other then tone (duh Lisa!). This product is meant to refresh, sooth and brighten your skin and I can assure you, it does all three. You pop a small amount onto a cotton pad and sweep it over your face after using Cleanse & Polish (alternatively spritz onto face and body if you have the spritz). Again, I usually only use it at night as I have found it's quite hard to pop make up over the top of it. Overall I have fallen so in love with these products. 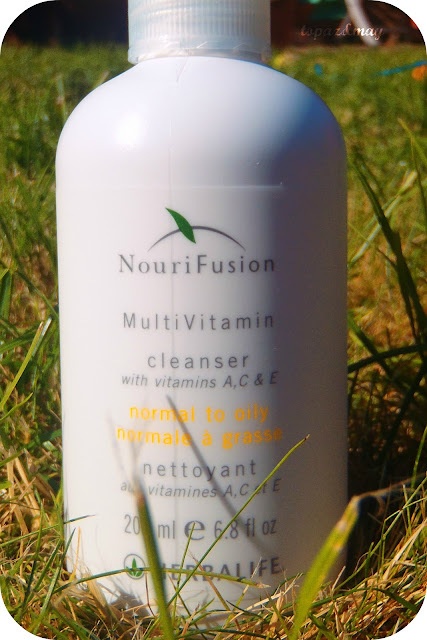 My skin looks so much clearer and brighter and smells fantastic after use. I just get into bed and sniff and hmmm yummy! I accidentally stopped using this for a few days (bad Lisa) as I just got a bit lazy and tired and my skin really did suffer as a result, it really does make a huge difference. As soon as I started back up again it was bye bye oily skin, clean skin! I would definitely recommend these products, even with the price tag as it really is worth it and it lasts for ages. I really cannot wait to try other products from this brand! What Liz Earle products do you love? Those who know me know I love my Links of London bracelet and love their charms. So when they asked me to review their GB collection I jumped at the chance. Not only do I love Links, but I love the Olympics and I'm lucky enough to be going in August to see the male swimmers (o yum!) so this really was the dream offer for me. Links of London have teamed up with the Olympics to be the creators of the Official Jewellery Collection 2012 and they've come up with this fantastic collection. I really love this band. It's so patriotic and just fits really nicely. I love how it arrived. 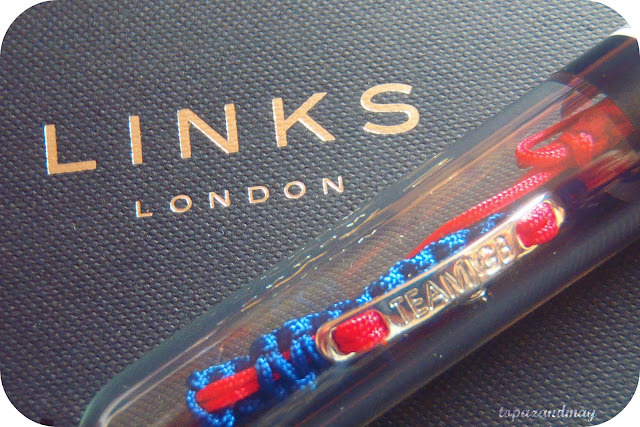 It came with a lovely Links of London GB gift bag and came presented in what (to me) looked like a test tube...! But was really very cool. For £20 as well it's well worth getting to show your support for Team GB! I will definitely be wearing this to see the male swimmers... aka my future husbands! 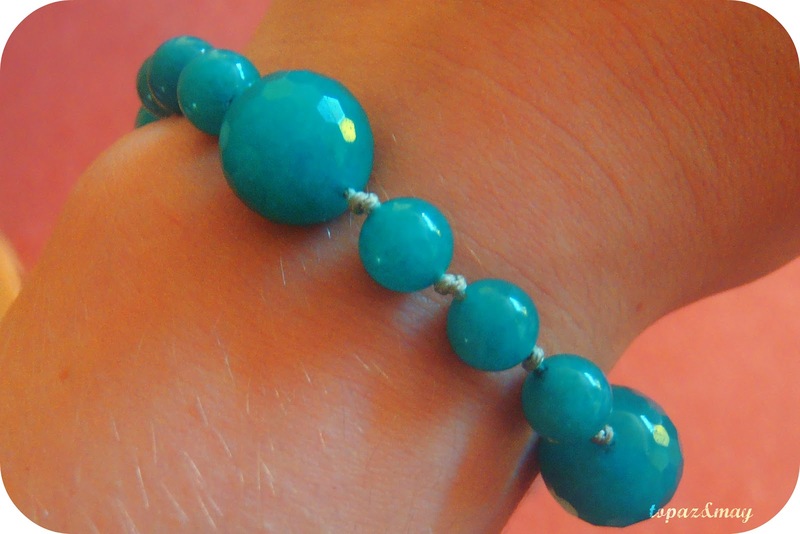 I have been sporting this bracelet since I received it and I really do love it, I have had so many compliments already! It's comfortable, stylish and I feel very patriotic wearing it! This is the rest of the collection. 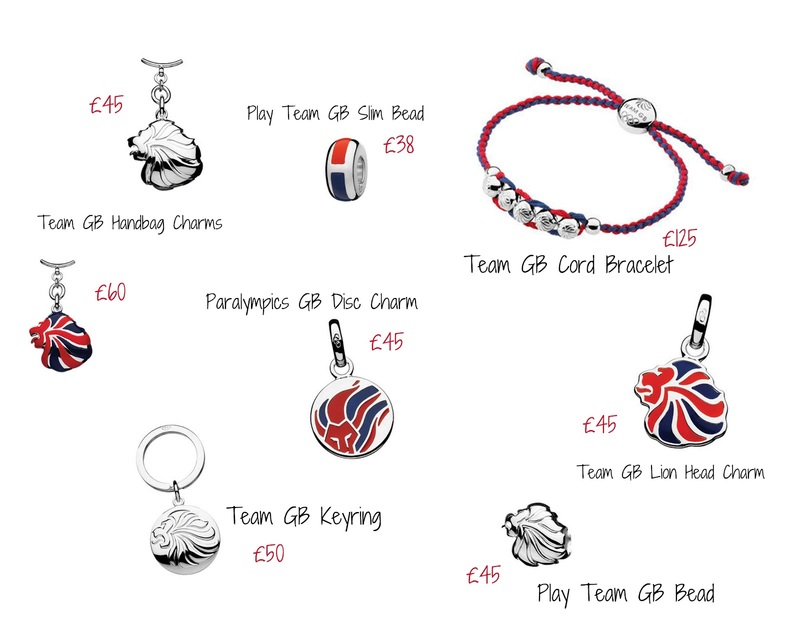 I love the fact that it isn't just restricted to charms but you can also get beads as well as handbag charms and a keyring.Unfortunately last time I looked the slim bead was out of stock... But the rest is still available! I love all the colours and I feel so patriotic just looking at the collection! If you're a Links lover, or even if not, I would definitely recommend this collection... 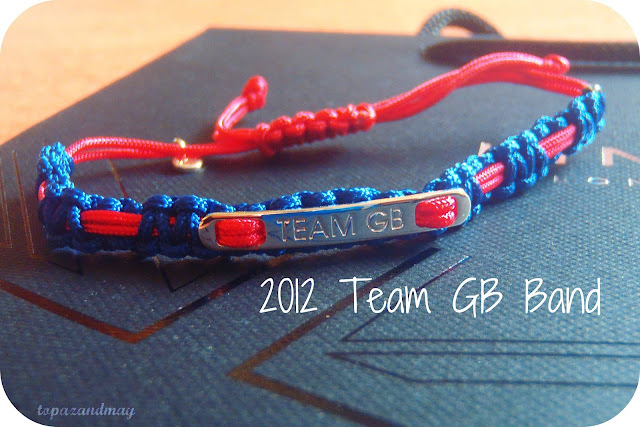 TEAM GB FOR THE WIN! What piece will you be sporting? 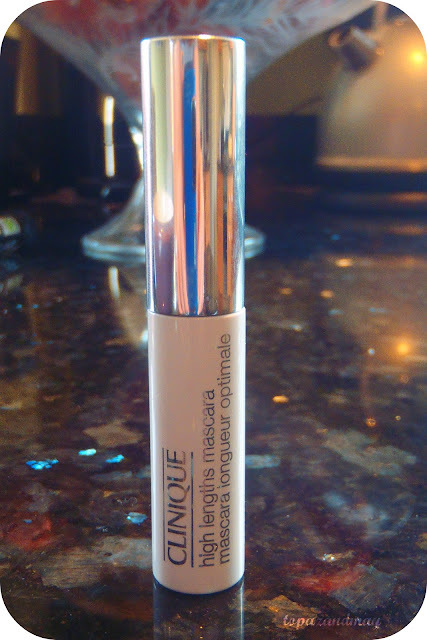 Debenhams have been holding a Clinique Mascara Swap so I wondered on down to my local, lovely Debenhams and handed in my old mascara for this little Clinique beauty. 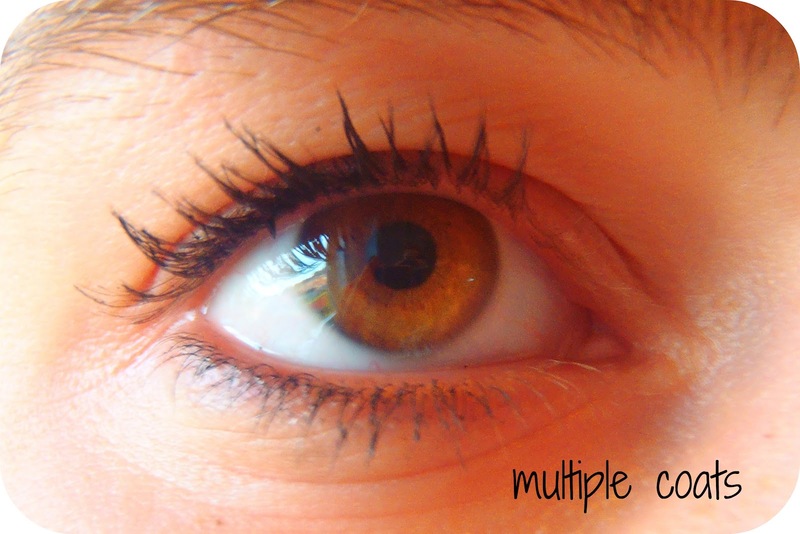 You could choose between either High Lengths Mascara or High Intense Mascara. It obviously works though if the next photos are anything to go by... Go little jurassic park monster teeth brush! Now, I'm usually one of those people who look at others mascara reviews, see the 'one coat' photo and laugh, thinking to myself "my arse is that only one coat"... 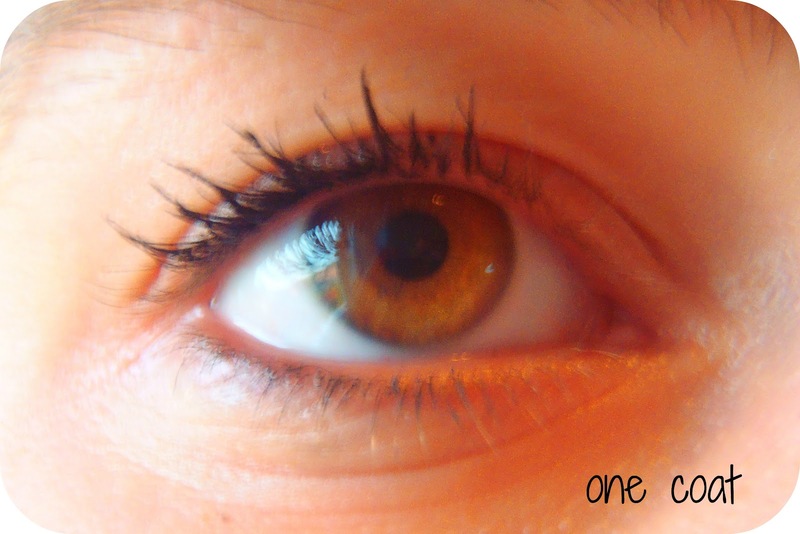 However, this mascara has completely changed my opinion of that: no longer shall I scoff! You can see from the above photo that it immediately lengthens the lashes and creates a more prominent lash line. The scary brush was really easy to use on the top lashes as well. I found the brush a little hard to use on the bottom lashes but other then that I can't really say a bad thing about it. It does look quite clumpy on the photos, but that could just be that I didn't brush out my lashes before hand (bad beauty blogger!). Which sample did you choose? I love this skirt, it has a really subtle waterfall effect (so subtle you can't really see it in these photos) but it is there I promise! It's really flattering and I love high waist bottoms as they nip in at my waist and make me look like I have slim one. 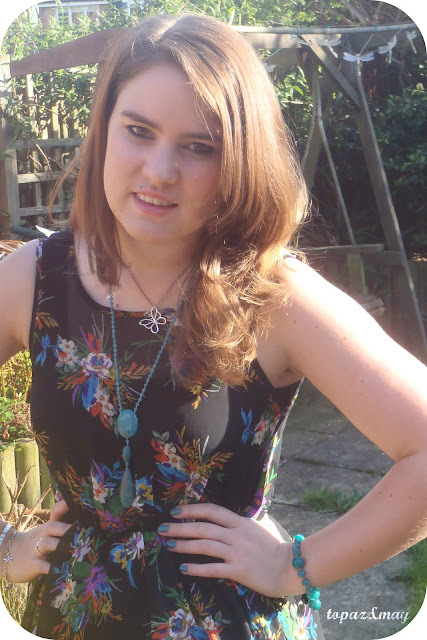 This is probably my favourite top. I LOVE the colour and the pattern and just the general style of it. It's so flattering and can either be dressed up for a night out or down with some jeans. These are my goooorgeous new New Look boots. I have been after some lace up boots like this forever and I originally wanted these for work - but as you can see they are incredibly high and I can't quite see myself walking to work in these... can you say broken ankle and blistered balls of feet? 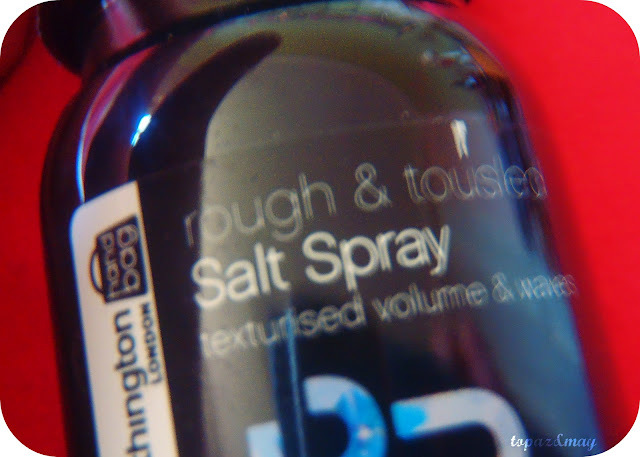 I've heard that Salt Sprays are meant to be able to help you achieve this look so I've been intrigued for a while but never bitten the bullet and bought one. You wash your hair, then towel dry it as much as possible. 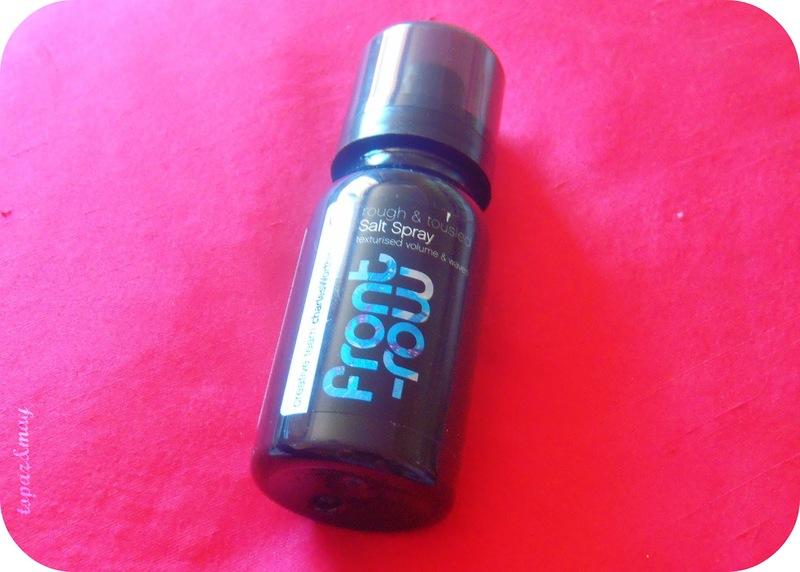 Then you spray the salt spray into the lengths of your hair, rather then your roots. My hair tends to try quite straight when I blow dry it, so it did this time as well which was slightly disappointing. However, it gave my hair SO much volume and texture, I loved it. So, the next time I used it I thought I'd give it a go letting it dry naturally and voila - hello beach babe. Not AS much so as it does on holiday, but if I'm honest I didn't think it would be THAT good. All in all, I'm really pleased with the results this product gives.. Dry it straight and you have fab texture, let it dry naturally wavy and you have subtle beach babe waves with, again, masses of texture. Have you tried a salt spray? What are your experiences? 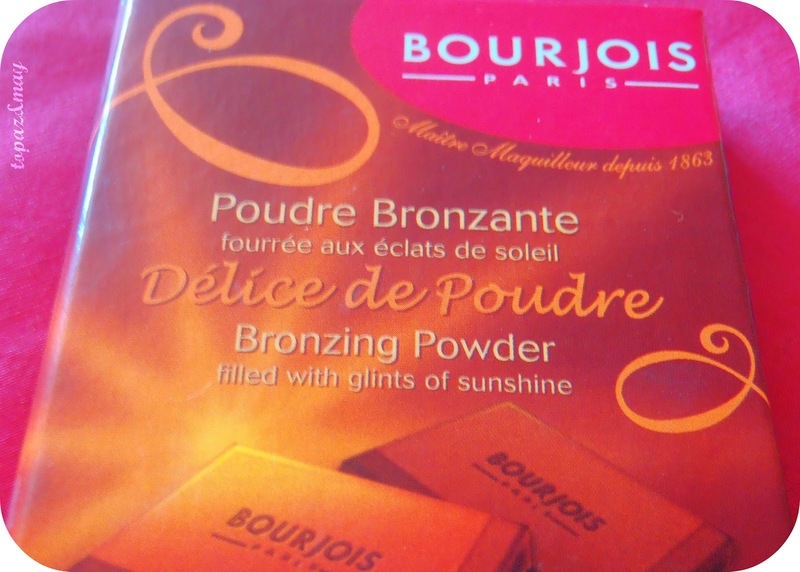 This is Bourjois Delice de Poudre Bronzing Powder which you can get from Boots at the moment for a scrummy £4.99 - not bad considering my usual has gone up to over £11! 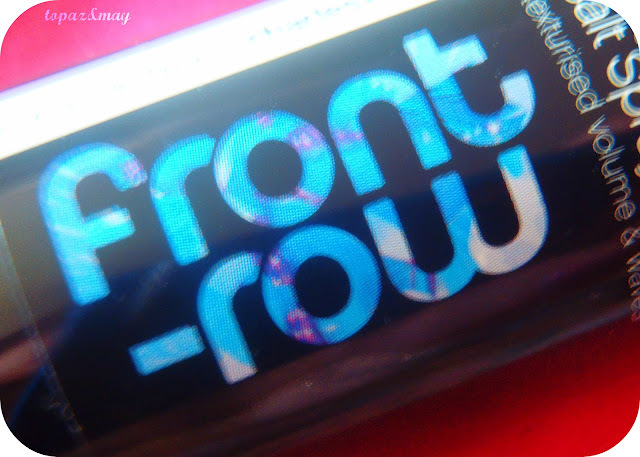 It applies so easily and gives an instant glow. I apply a light layer to my whole face, neck and bust and then another layer to my cheeks for emphasis. I was slightly worried it made me look more orange then my No7 bronzer but I have been reassured otherwise by many people! After using it for a few days I have to agree with them, it's a gorgeous colour. I just look lovely and sunkissed and tanned which I love. One of my favourite things about it though? It smells of CHOCOLATE. Not even kidding, I apply it to my face and I actually want to eat it. 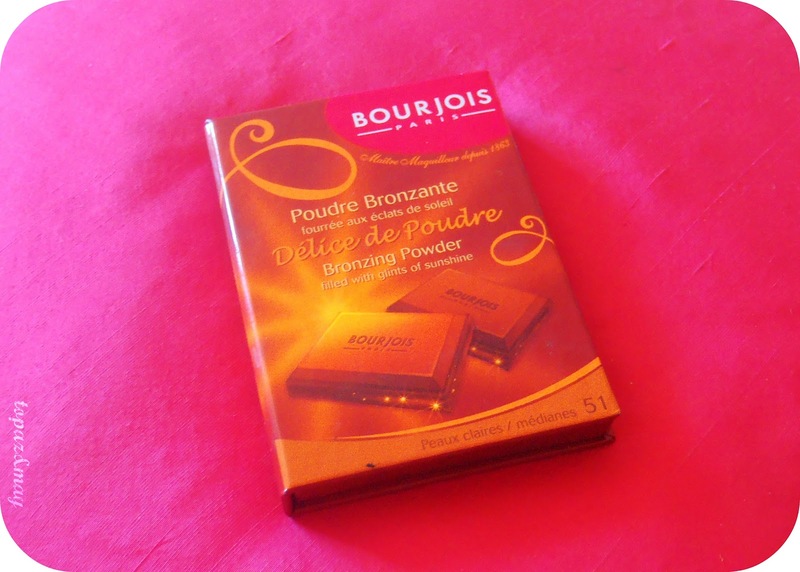 I shouldn't be surprised really as (as you can see above) the bronzer itself is display like a chocolate bar and when I was recommended it I was told to "get the Bourjois one that looks like chocolate". So I did, and I'm glad and I really do love it. It's a great product for the price - sorry No7! What Bourjois products are you loving at the moment? It seems my sending has gotten a bit out of hand lately! However, I will defend buying this next item until the end of time because I have fallen completely in love with it. You know one of those dresses that you put on in the changing room and just sigh and think "O crap now I have to buy it..." Well, this is that dress. I have completely bought into the waterfall trend. 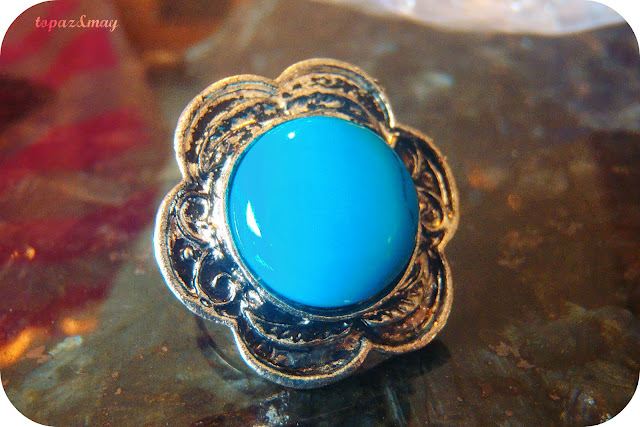 I think its just a ladylike trend and it's just so pretty! 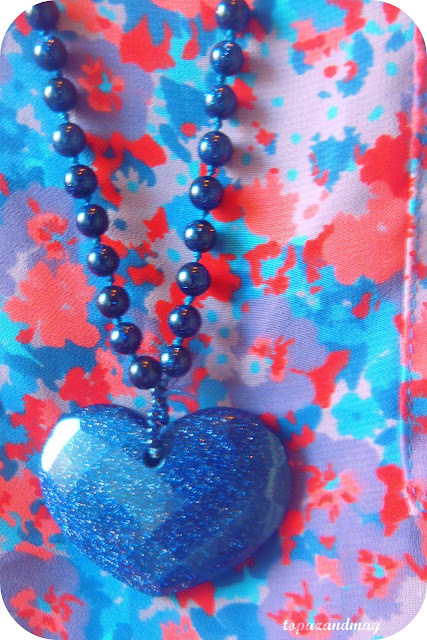 I love the colours in this dress, they are really bring and help to brighten up the black. It comes in at the waist (which I'm a bit fan of) and skims over your bum and legs. The top of the dress is actually see-through so you do have to wear a black vest underneath (unless you're braver then me and want to expose your underwear! 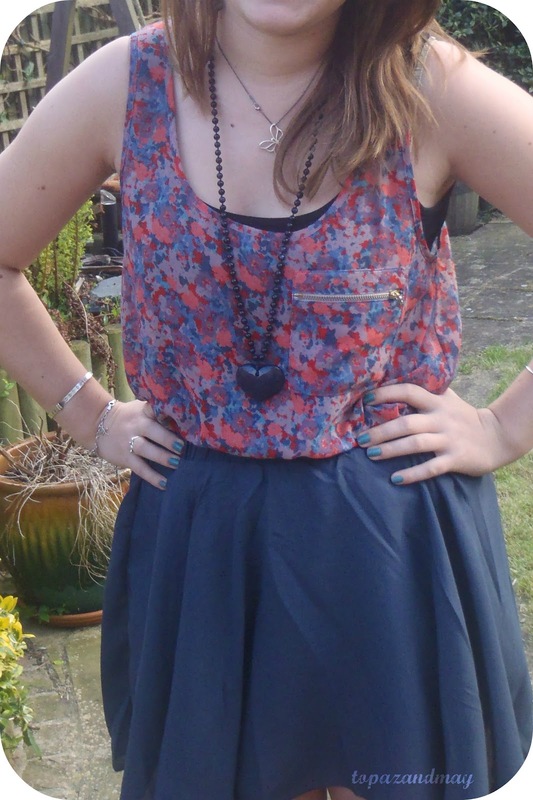 ), it does have a slip under the skirt... but not a very long one! 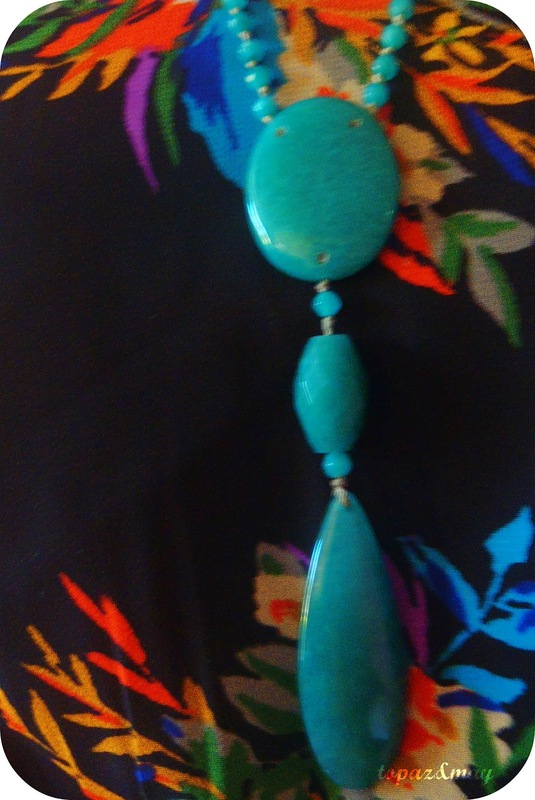 I wore this beauty to my Pappy's 80th Birthday party (that's Granddad or Grandpa to normal people) and I got so many compliments for it :) It's definitely become a staple in my wardrobe for the summer. Have you tried a waterfall outfit yet? I am a creature of habit, so when I find a beauty product that I really love, and I mean REALLY love, I don't tend to stray from it. 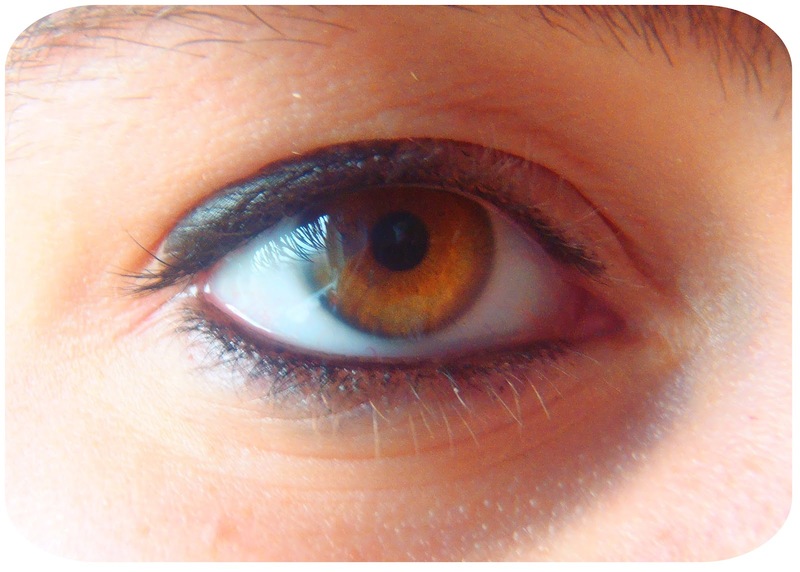 For example, my usual eye pencil is from Chanel, and it works miracles - my only fault with it is the cost. So I have been looking for something just as amazing with half the price tag (cause I obviously wish for the mood). 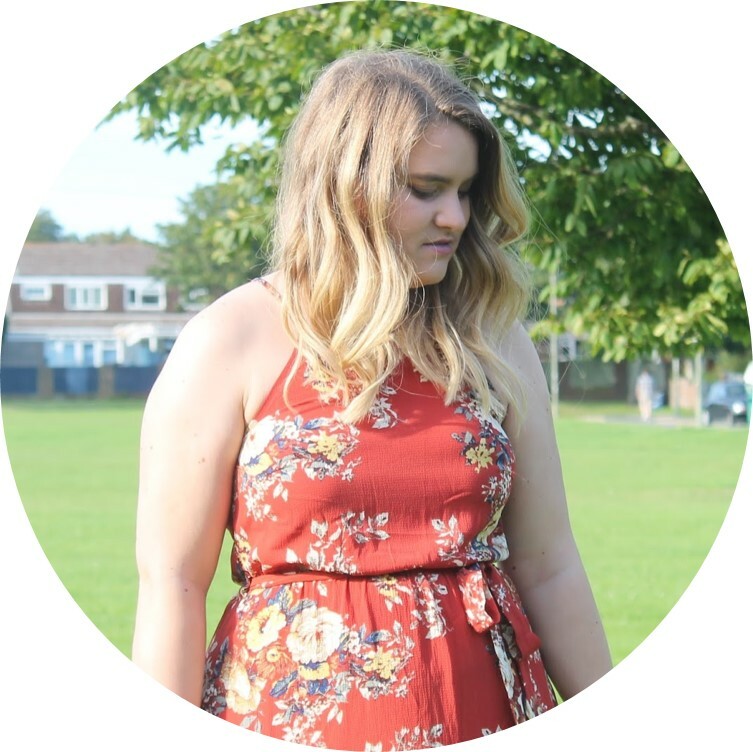 As so many bloggers have been raving about Topshop make up I thought I'd give it a go! It's very easy to use, it glides on smoothly and it's really soft as well. You can either create just a thin line top and bottom of do a little shading like above. 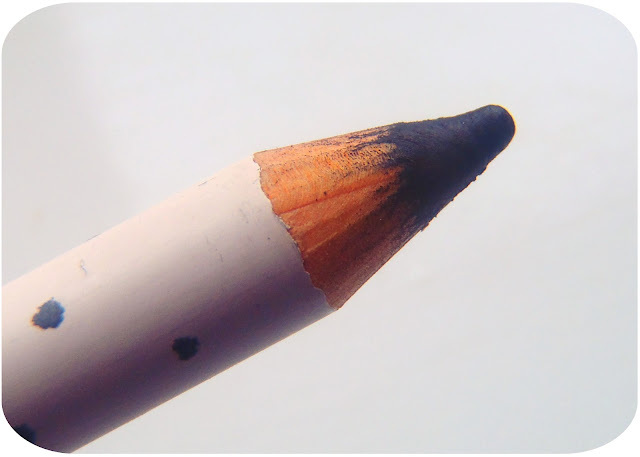 I usually find that my Chanel pencil makes it hard to do this shading so this was really nice to discover. 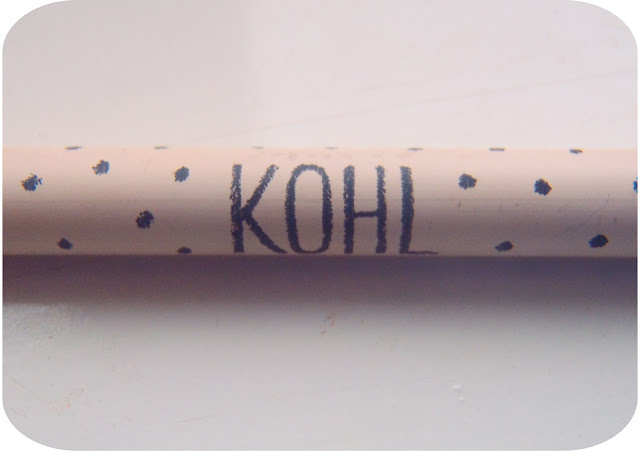 I love the design, the spots have become so symbolic for Topshop make up, my only gripe with the design is I keep trying to put the lip on the end of the pencil when I use it, but it doesn't go on the end. Slightly petty but I keep trying to do it haha! The colour really does last all day, it doesn't fade at all and if you don't touch it, it doesn't smudge - however if you do touch it I found it smudges really easily, which is something my Chanel pencil doesn't do. Having said that, since trying it with primer underneath it doesn't smudge nearly as much so think I've found the solution there! All in all I'm really pleased with this product. It's not quite replaced my Chanel as yet but I have been using it more and more so who knows! Have you tried Topshop make up yet? What do you recommend?